Hapkido seminars are hosted periodically at the various affiliate schools with Grandmaster Kim presiding. You may also train directly at the HQ dojang in Seoul. Check out the events page or contact the HQ to find out the next training seminar at one of our affiliate schools that you can participate in. We will put you in contact with the hosting school for more information about registering for the event. Typically affiliate schools have autonomy in how much is charged for such events, and will provide details on travel, accomodation, etc. Would you like to visit the Kyung Mu Kwan HQ school? Arrange a training visit for yourself or a small group and experience Kyung Mu Kwan Hapkido along side other students and black belts at the school. Scroll down to learn more about tuition fees at the HQ school in Seoul. When possible, Grandmaster Kim is available for seminar bookings at non-affiliate dojangs. If we don’t have a Kyung Mu Hapkido affiliate school in your area, you may contact us to see about hosting an event with Grandmaster Kim. Develop a solid foundation in the basics of Hapkido. Learn the fundamental concepts that are the cornerstones for movement and technique execution in Kyung Mu Hapkido. Discover the skill sets required past first degree black belt. Learn advanced Hapkido skills like counter moves, arresting techniques, ground fighting, weapons defense, etc. Learn how to teach Hapkido efficiently and correctly. These workshops are for instructors seeking to increase their depth of hapkido knowledge for their student base. Hapkido workshop topics for niche groups. We also customize group trainings for law enforcement, women’s self defense, hapkido for kids, etc. 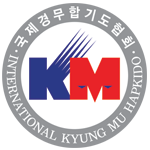 Got Questions about KM Hapkido Seminars? Contact us to learn more about attending, hosting, or scheduling for Seminars.